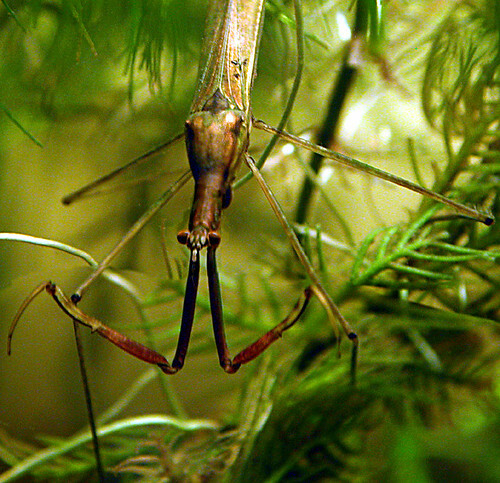 Let's hear some more from Richard about the amazing Water Stick Insect - a pond predator with attitude that we found at Wilderness Festival: one of our Meet the Species feature events. Here at Meet the Species HQ, we have had an amazing time searching for wildlife all over the UK, so we decided to each do a blogpost about our favourite wildlife experience whilst working on the project. 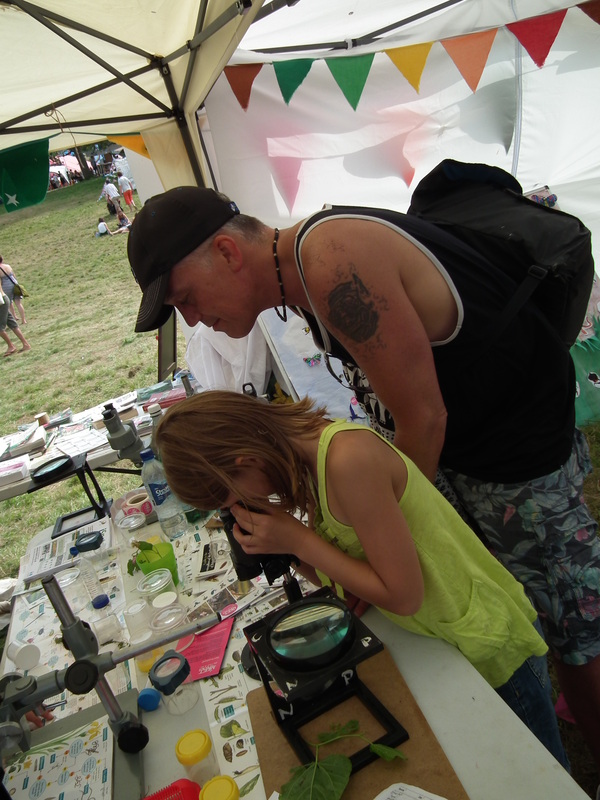 Eleanor got up to her elbows in pond dipping at Wilderness festival and loved it! Whilst working on the Meet the Species project, my knowledge of wildlife and nature has come in leaps and bounds. Not only have I picked up a plethora of fascinating facts from the naturalists we’ve worked with, but I have learnt that to fully appreciate your natural surroundings the most beneficial thing you can do is engage all of your senses. Getting stuck in, wading through the underbrush, crouching low enough so that your chin is touching the ground, looking up at the trees and the sky forgetting all else around you can be highly therapeutic. I’ve learnt to use my ears to pick up on the noises and calls of birds and insects, my nose to smell out plants and trees, my eyes to seek the tiniest of creatures, my touch to identify the texture, size and armour of trees and mammals. It’s exciting that you can find species wherever you may look, even whilst surrounded by urban civilisation and the humdrum of large gatherings of people. 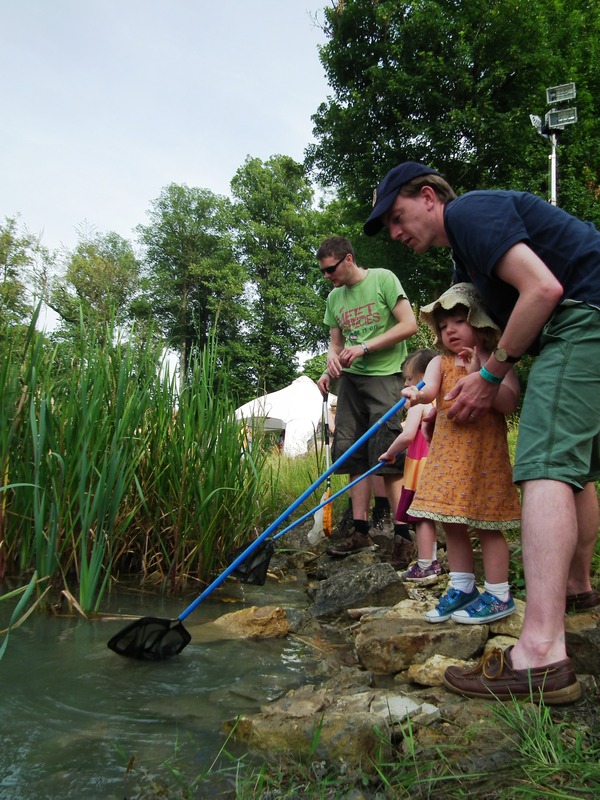 My favourite Meet the Species memory, has got to be the pond dipping we were able to do at Wilderness Festival. 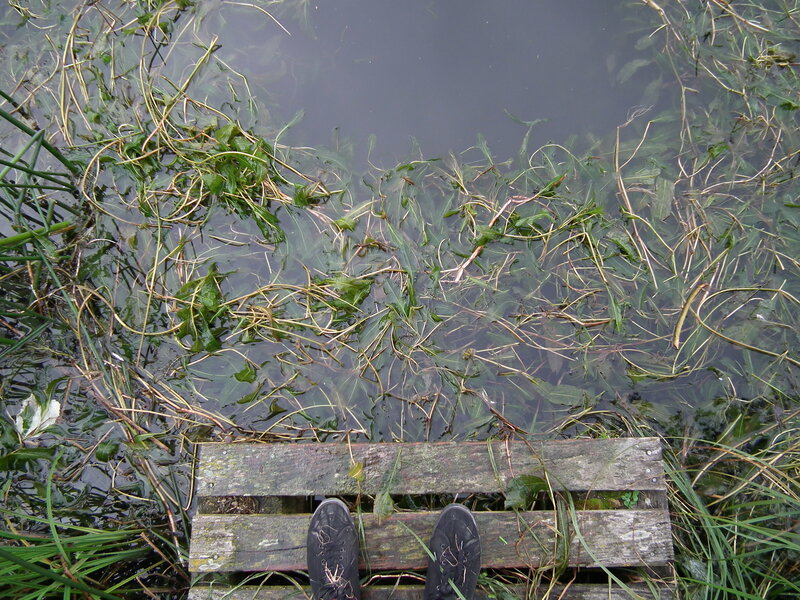 Everything from the amble down to the ponds, to the cluster of heads peering closer to see the tiniest of insects, had memories of my childhood embedded in them. The poetic sight of children and adults wading through long grasses carrying bug pots and pond dipping nets, had me reciting “We’re going on a bear hunt….” In my head! Beneath the calm and reflective surface of our destination, the hub of live activity is astonishing. The children take it in turns to swoop and sweep their nets back and forth, like birds searching for a feast from above. We huddle closely to eye up the winnings, some expecting toads and fish but being met by a tank full of micro civilisation. Pond shrimp, water skaters, blood sucking worms, a terrific mix of insects and bugs can definitely come up trumps. We all join in a chorus of what, who, where, when, why and how. The group is collectively thirsty for more information on this alien environment, which is all part and parcel of our own magnified lifecycle. 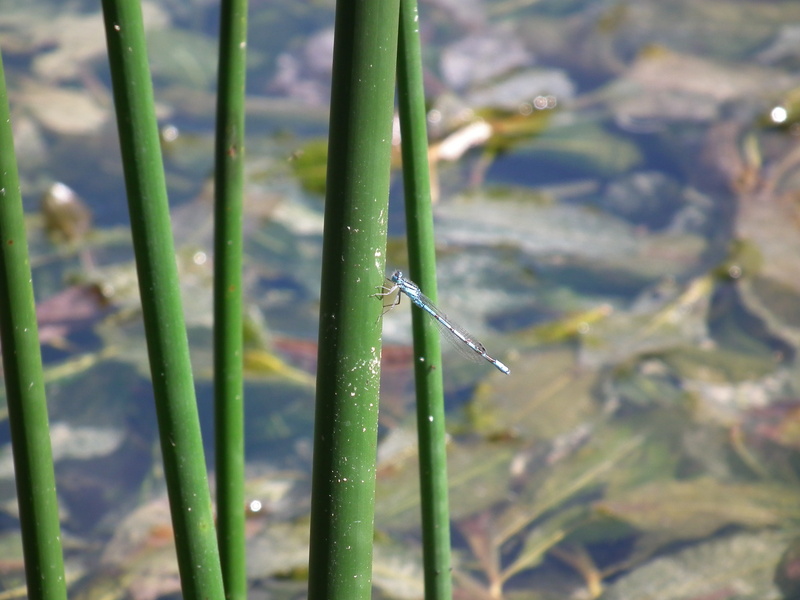 In our urban habitats we’re surrounded by opportunity, green spaces, parks, ponds, rivers, but this friendly access and insight into pond life is like a confidence boost, disguised as a guide. I like watching people come out of their own shells. 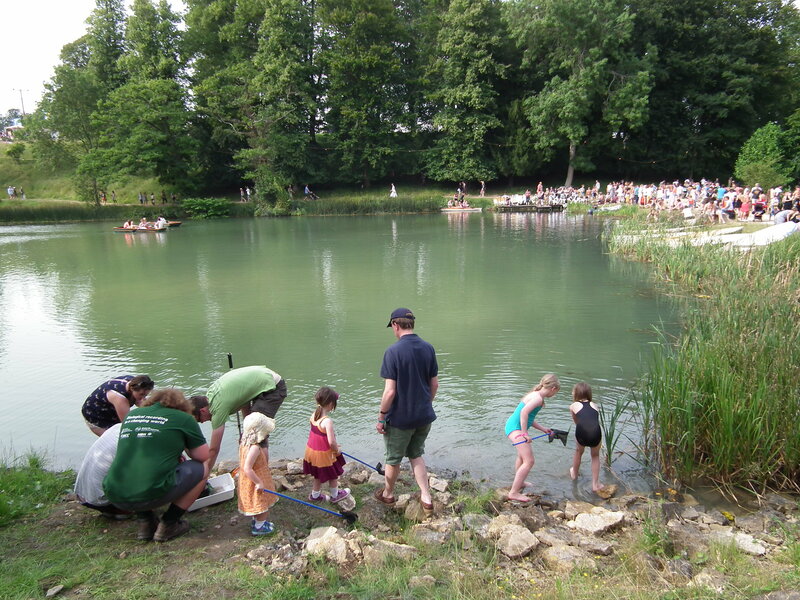 Parents, who come on our pond dipping walks, solely to accompany their offspring, transform into inquisitive participants, children who resent their parents for dragging them along quickly become eager to showcase their findings with parents. A net will never be pulled in empty. Everyone is a winner in our race to find species. My favourite find at Wilderness was the parasitic wasp, which lays eggs into the greater pond snail’s (Lymnaea Stagnalis) shell. The wasp then grows whilst eating the snail from the inside out. It sounds like a torturous process but a wily and clever way for the wasp to thrive. If the Meet the Species project was a pond snail, and the public were parasitic wasps, then the idea of people joining in, hitching a ride, and hungrily eating all knowledge we can offer from inside the project, then the parasitic wasp seems like a brilliant metaphor for the perfect participant! 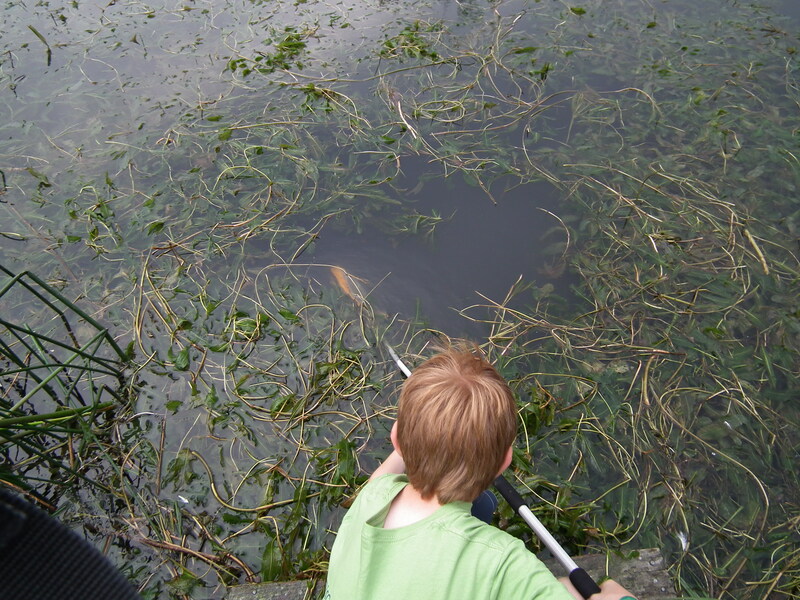 If you fancy a go at pond dipping yourself, why not take part in Pond Conservations’ Big Pond Dip! 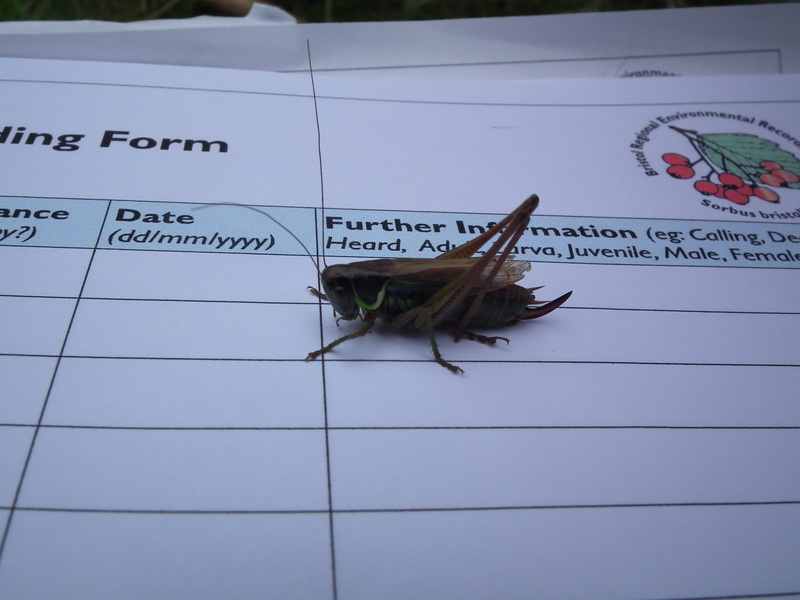 Our perennial insect expert Richard Comont joins us at Wilderness Festival: one of our Meet the Species feature events, to explain how the Roesel’s Bush Cricket’s habits of nibbling each other encourage them to disperse and spread across England. On Thursday the 9th of August, we were back in the van and on the road again, on our way to Wilderness Festival in Oxfordshire for it’s second year of fun and frolicks.. As we pulled up past the grand 19th century house we spotted our first species and a stunning one at that…. Peacocks! This certainly set the weekend off to a good start. Wilderness is a small and unique affair to say the least! Costumes, masks and face paints are a relentless theme. Around every corner are secret venues, mock Olympic competitions and spontaneous flash mobs… at this festival having your wits, creative appreciation and sense of humour about you at all times is a must! 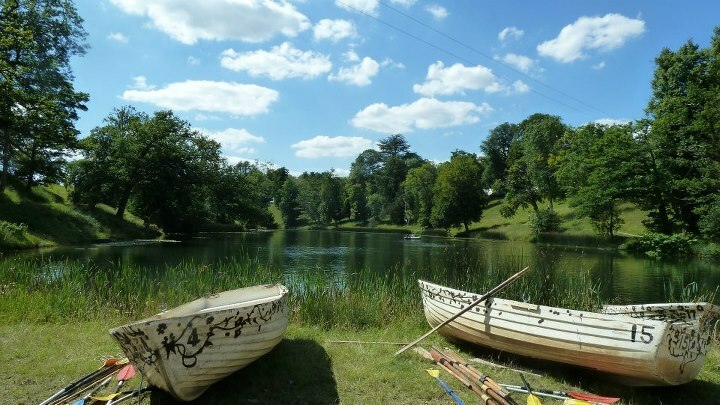 The festival is situated at the heart of a large estate, complete with deer park, mystical woodland, grand house with gardens, boating & swimming lakes and many other beautiful features. Having attended the festival last year (2011), we knew the site was a greatly diverse area for wildlife but we’d forgotten the astonishing beauty of the place. We set up the stall under the shade of a large oak tree (possibly 300+ years old) and had a quick wonder around the site. It was an early rise on Friday morning to start our Wilderness species count. We were quickly joined by Richard, our resident bug expert for the weekend. Little did we know that Richard is an all-round nature & wildlife tycoon, spilling an endless plethora of knowledge on all things natural. What a champion! Richard led walks throughout the weekend, set his own moth traps, and was always on guard to answer both adult’s and children’s inquisitive who, what, where, when, why and hows! We were also joined by Nick and Mary, who took walks and hosted the arts and crafts section of our stall. Our meadow board was a popular feature, just as it was at our previous events. Children came in mass to colour in insects, birds, flowers, butterflies etc. and stick them to our colourful collage. The saw and hand drill made a 2nd appearance of the summer, with the return of our wood chip necklaces, which went down a chipper treat (oh yes I did)! Nick lead some nature walks over the weekend, as did Martin who brought with him his enthusiastic son Dominic in addition to some expert equipment, including a bug sucking machine which is a great way of collecting smaller bugs without harming them. The machine is basically a hoover with a net inside which prevents the bugs being sucked up completely. You can empty the net into a tray and have a good old peek at what you’ve caught. A brilliant tool, if not slightly noisy for the peaceful festival goers! Perhaps the best thing over the weekend was the use of the lakes for our Pond Dipping walk. Adults and kids turned up in their droves, to find out what really lurks beneath the surface of the lakes they’d been swimming in just hours before! As we made our way down to the boating lake through the festival, our quirky procession carrying fishing nets, tanks and butterfly nets was something of a spectacle! Good for us though as the further we wondered the more people would tag along with intrigue! We gathered at the shallow end of the lake and got dipping! 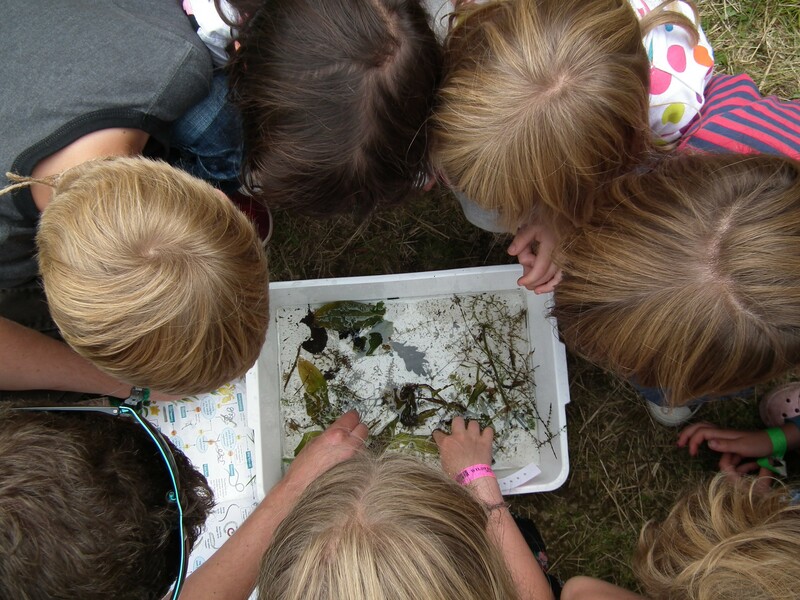 We found all sorts of small creatures such as pond shrimp, damson nymphs, water skaters, blood-sucking worms, pond snails, whilst having overhead visits from plenty of butterflies, moths and dragonflies. 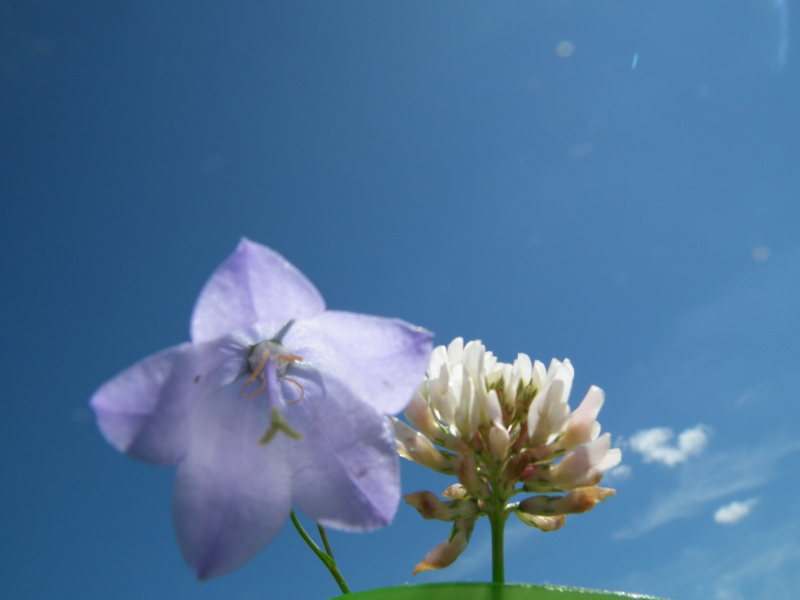 The scenery was as stunning and diverse as some of our finds! We were able to add red deer to the list as the festival is situated in the close proximity to a deer park, but we drew the line at the camels that were brought in for rides! We topped the weekend with a soaring total of 265+ species, with special thanks to both Mark and David our guest Lichen experts, who tallied a highly ‘likable’ figure of Lichen during their visit on Saturday. To top it off we had a very special guest, Hugh Warwick join us to tell us some amazing things about hedgehogs! (Look out for more from Hugh during our 12 day finale starting 22nd August). Back to reality and rain on the windows (we can’t complain, we were treated with glorious summer sunshine at both Womad and Wilderness! ), we are full steam ahead on our plans for the Meet the Species finale which starts in just 6 DAYS!! Our schedule is choc-a-block with exciting, cool, fun and fascinating content for you to feast your eyes on… Don’t forget to set the alarms for 9am on Wednesday 22nd August because that’s when our grand finale begins! See you there (here)!